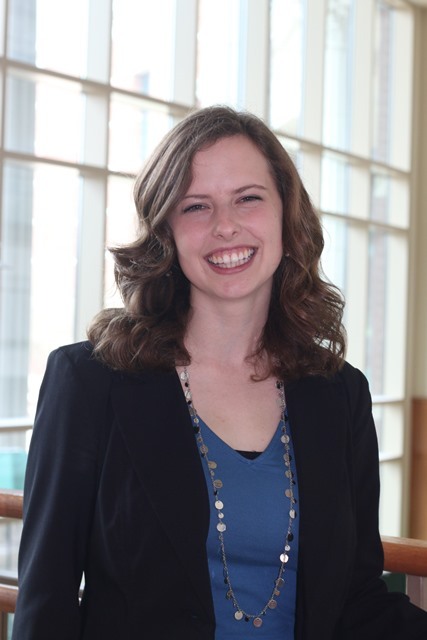 WACO, Texas (Aug. 13, 2015) – Baylor University graduate Rebecca McHenney is one of four Baylor students and recent graduates who have been selected to receive the prestigious Fulbright Scholarship. McHenney earned a B.S. in education with a major in secondary mathematics. She received the Fulbright English Teaching Assistantship (ETA) and will spend the 2015-2016 academic year teaching English in Mexico. Rebecca McHenney: Sitting in my empty dorm room, hands pressed against my cheeks, I read the email in stunned silence, trying to take it all in. Once I started calling family, friends and professors, all of whom had been waiting to find out (almost) as anxiously as I had been, my excitement grew. All day I kept re-reading the email just to make sure it was all real. Of course, I was also relieved just to have some solid post-graduation plans. Why did you decide to apply for the Fulbright and why did you choose Mexico? Rebecca McHenney: I have a huge passion for teaching that stems from my high school experiences tutoring kids in a rough Chicago neighborhood. I wanted to help give kids the same opportunities that I had growing up, and before I knew it, a dream of becoming a math teacher in Chicago had lodged itself in my heart. I’ve also always been fascinated by other cultures and languages. When I found out that Fulbright not only offered a grant to live abroad for a year, but that there was a specific grant related to teaching, I knew I had to apply! There is a large population of Spanish-speaking students in Chicago, many of whom trace their roots back to Mexico. I think living in Mexico will give me an invaluable window into the cultural heritage of my students and their families. This and stronger fluency in Spanish will allow me to connect with them and ultimately become a more effective teacher. What will you do in Mexico? Rebecca McHenney: I will be placed with an English teacher in the Mexican school system. As an assistant, I will work with students as they learn the language, and I will teach lessons on American culture. I also hope to get involved in the community by volunteering or working on an independent project. Rebecca McHenney: I didn’t get the warm fuzzy butterflies upon visiting Baylor that many students describe. Rather, Baylor was a logical choice, with all the things I was looking for in a school: a strong education program, commitment to the Christian faith and out-of-this-world scholarships. But upon moving in, I quickly fell in love with the school. I loved attending football games and flaunting my Baylor pride. As an honors student, I learned from incredible professors and stretched myself academically. For four years, I invested in Brooks Residential College, a residence hall that prides itself for its close-knit community. Indeed, Baylor has given me more than I ever could have anticipated. Rebecca McHenney: When I return from Mexico, I hope to find a job teaching middle or high school math in Chicago and spend some time developing my teaching. From there, I will take things one step at a time. I would love to get my Ph.D. someday, and I am also considering becoming a school administrator. Rebecca McHenney: I am extremely grateful for the people who have supported me over the past four years. During my freshman year, I participated in a book study led by Dr. Rishi Sriram and his wife, Amanda. Since then they have been treasured friends, family and role models. I am also grateful to the Brooks College staff and Ann Garner in particular for standing by me and helping me grow. Dr. Wilkerson, my thesis mentor, and Mrs. Barrett, my supervisor of two years, each set and exemplified standards of excellence in research and teaching. Their dedication to their students and to the teaching of mathematics reminds me why I want to become a teacher. Finally, I am indebted to Dr. Kirsten Escobar for her help in the Fulbright application process. She spent hours meeting with me, discussing my essays and providing critical feedback. Her belief in me inspired and continues to inspire me to keep dreaming. Rishi Sriram, Ph.D., assistant professor of higher education and student affairs and graduate program director of educational administration: Rebecca McHenney represents so much of what Baylor faculty desire to see in our students. She is bright, caring, intellectually curious and interpersonally sharp. Rebecca is not afraid to approach life’s big questions, and she desires to make a positive difference in this world. Rebecca has come to understand the importance of education in society, and I think this prestigious opportunity will not only allow her to explore the world, but also deepen her understanding of what education means for a global society. Ann Garner, administrative assistant in Brooks Village: It's not surprising that a Fulbright scholar such as Rebecca is gifted in many areas, but she is also unassuming and utterly without pretense. She seems to long to know more about God, about people and about nature, but her gentle and probing conversations dig deep without being threatening. When you talk to Rebecca, you find yourself sharing on a deep level; when she is listening to you, you're the only person in the room who matters! She's intuitive, funny, unselfish and authentic. She wants to understand, and she offers the best of herself in order to do that. It has been a joy to be her friend and work in her community. Trena Wilkerson, Ph.D., professor of curriculum and instruction and graduate program director in the department of curriculum and instruction: I had the honor and pleasure of working with Rebecca for two years as she worked on her honors thesis and as an undergraduate student in our secondary mathematics education program. She asked me to be her honors thesis mentor, and as I heard her describe her research interest and passion in teaching, I found that she was insightful and committed to making our world a better place through education. Her subsequent honors thesis research on professional learning communities demonstrated her ability to analyze and synthesize a critical need and consider ways of enacting her findings to support teachers in reaching students. She was destined to make a difference! As I worked with her further in our secondary mathematics education program, I was able to view her commitment as a reflective practitioner. In her internship year, as she taught high school mathematics classes, she worked tirelessly to make sure her lessons were focused on essential mathematical content and engaged all learners. She made a difference, and now as she continues her journey as a Fulbright Scholar, I know she will continue to make a difference in the lives that she encounters! Sara Barrett, secondary math intern supervisor: Rebecca was an outstanding student who was always interested in feedback in order to improve her teaching. She talked with many educators in different fields in order to broaden her knowledge and skill in teaching. In short, she was a student of teaching, striving to excel in her ability from her previous lessons. Rebecca never wanted an easy way but thought deeply about her lessons and her presentation of the content. She always focused on what she could learn and how she could broaden her experience. It was a privilege to have the opportunity to supervise Rebecca. Kirsten Escobar, Ph.D., scholarship adviser in the office of National and International Scholarships: Rebecca McHenney has wanted to be a teacher for most of her life. As I read her essays for the Fulbright ETA and came to know her, I began to see why she will be a teacher of the highest caliber, one of those rare master teachers whose students will hang upon her words, seek her for wise counsel and trust her to expect their very best. Rebecca possesses both a rigorous intellect and work ethic, yet she meets students with good humor, creativity and kindness, right where they are. She is eager to live and work in Mexico and will be a great asset to her students there as well as to the U.S. Fulbright program.